On our Thanksgiving table we have an abundance of pies. Last year we had seven—for eleven people. I’m not the only one who likes “a little of each”, which adds up to a lot.Pacing is important. Planning is everything! I knew a teenage boy who would prepare for Thanksgiving by drinking endless glasses of water to stretch out his stomach. I don’t recommend that kind of prep, but some measures should be taken to keep from popping! So… if I’m going to eat all that pie I don’t need the rich accompaniments of whipped cream or vanilla ice cream. I do like something to go with, though. 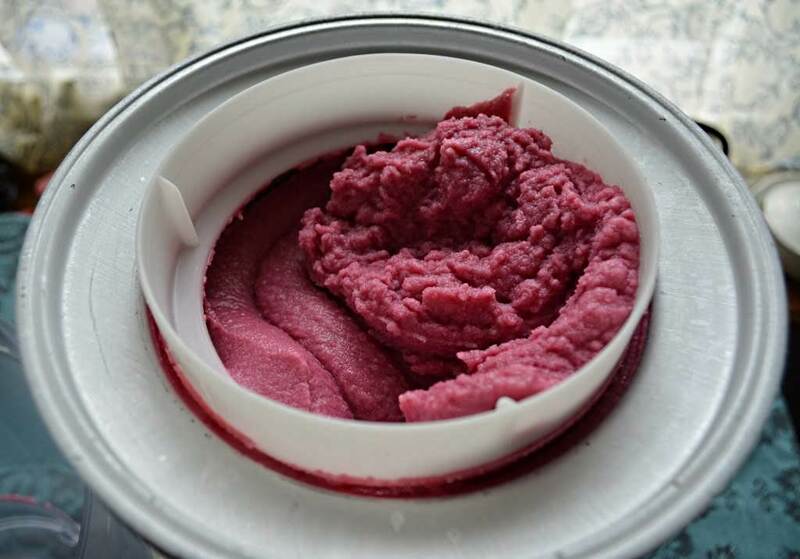 The solution is this: Cranberry Lemon Verbena Sherbet. It is light, tart, refreshing, even a bit creamy (because of the buttermilk), and goes well with all of the traditional Thanksgiving pies—pecan, apple, pumpkin. And the color is a knockout. Let’s face it, pie is heavenly, but it is brown. A rosy scoop of cranberry sherbet lights up the plate. I like to keep a batch in my freezer as long as cranberries are in season. After the holiday is over, this sherbet pairs beautifully with my Lemon Snap Snaps. 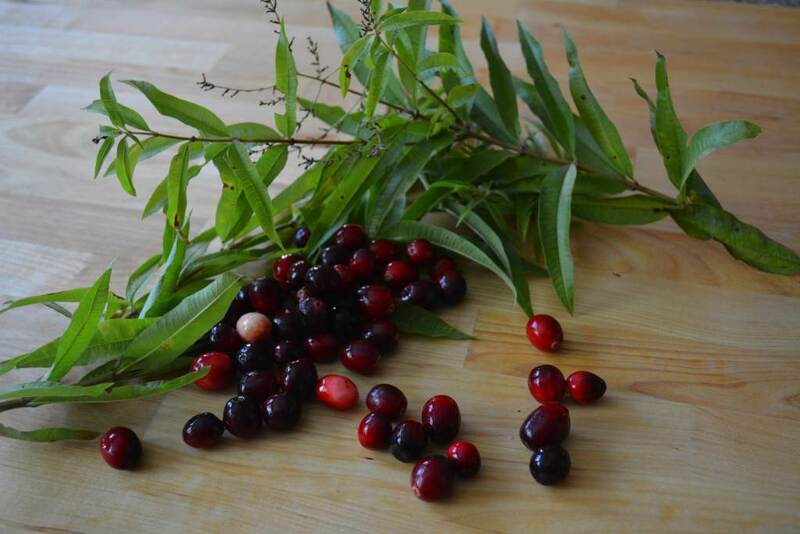 Pick over and wash the cranberries and lemon verbena. 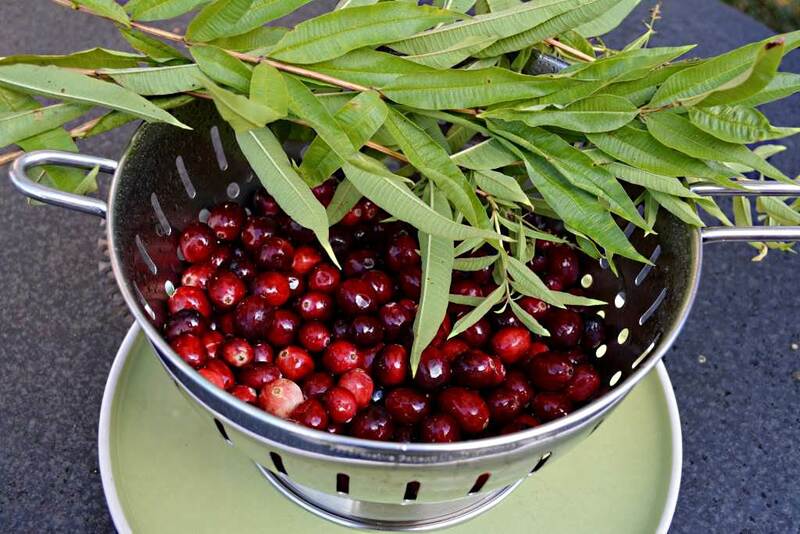 Cook the cranberries, water, sugar, and lemon verbena for ten minutes. 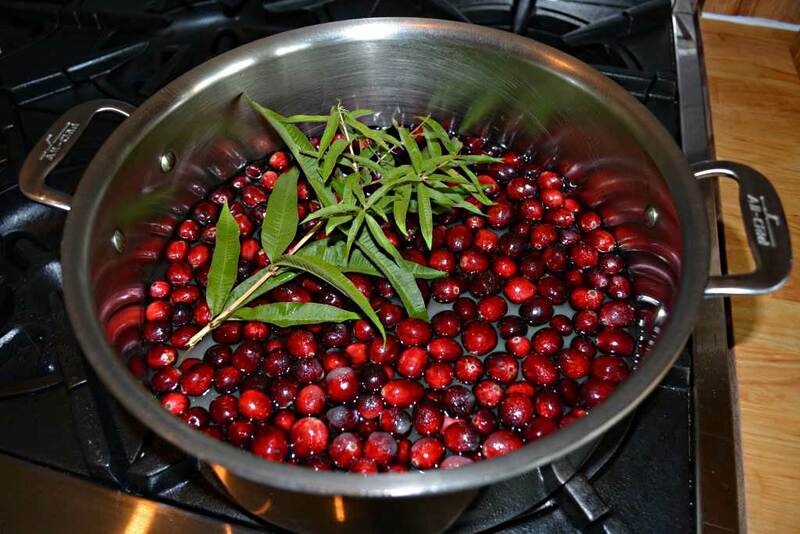 Strain the cranberry lemon verbena mixture. Strain the mixture. Almost all of it will go through. 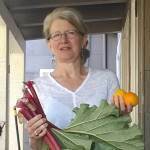 They best tool to use is a metal ladle. Rotate the ladle round and round using a good amount of pressure–reversing the motion occasionally. Get every last drop by scraping the back of the strainer. Sherbet packed and ready for the freezer. 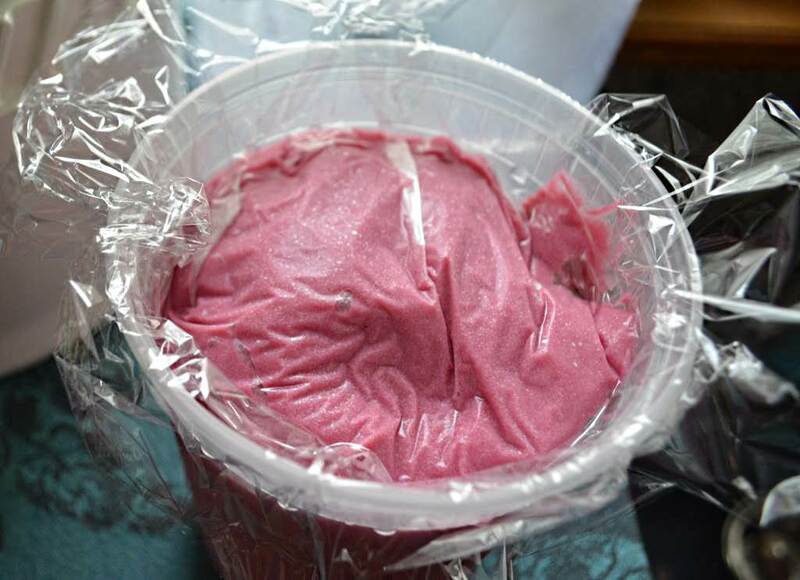 Place plastic wrap directly on the surface of the sherbet and then cover with a tight fitting lid. This will help keep the sherbet from crystallizing. 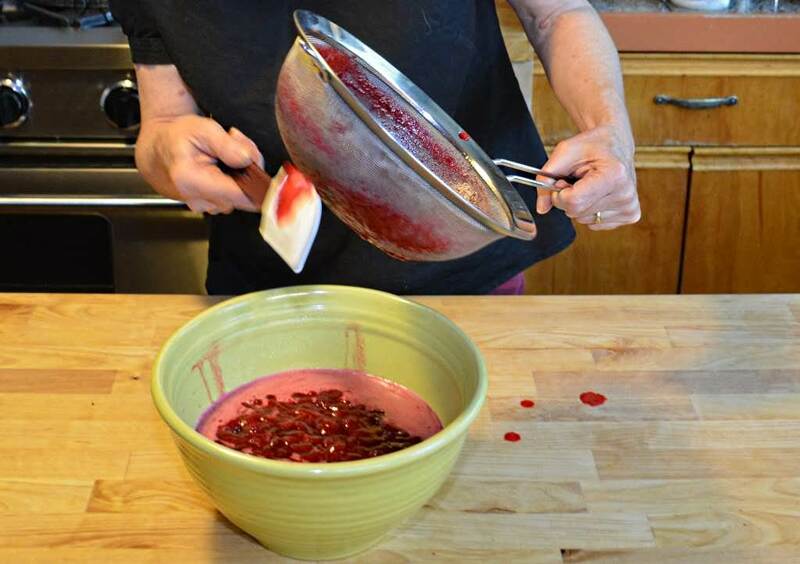 Combine the cranberries, water, sugar, and lemon verbena (or lemon zest) in a large sauce pan. Simmer for 10 minutes. Taste the mixture to make sure there is enough lemon verbena flavor. 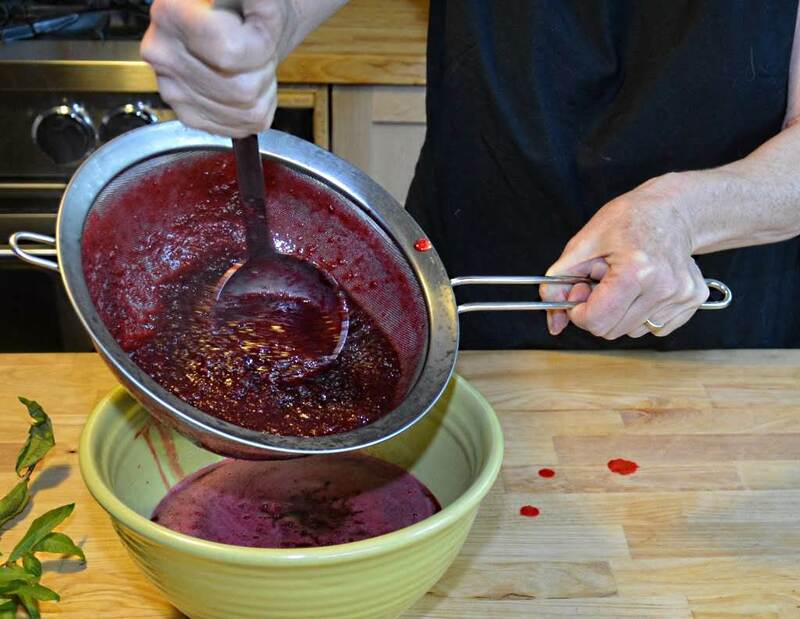 If you want more, put another sprig into the hot mixture and let steep until desired flavor is there. Do not heat again while steeping. Remove the lemon verbena. Puree the mixture in a food processor, strain into a clean bowl. Cover the bowl with a plate or with plastic wrap and chill completely in the refrigerator or over an ice bath. The sherbet will freeze best if you chill it overnight. When cold, add the 3 cups of buttermilk and stir to combine. Freeze in an ice cream maker according to manufacturer’s instructions.